​The Irish National Hospitality awards now in their fifteenth year, took place in the Shelbourne Hotel yesterday. The cream of the Irish hospitality industry was there in a bid to pick up one of the coveted awards. Bookassist, long time supporters of the awards was proud to present the Best City Hotel award to The Westbury and the overall Best Hotel award to Ashford Castle. 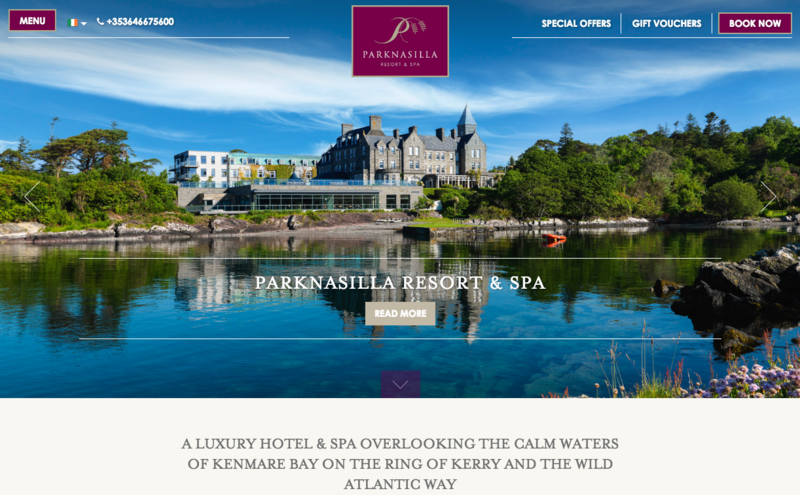 Long recognised within the field of hotel website design, Bookassist celebrated its expansion into restaurant websites by offering a free smart website to One Pico, the winner of the award for Best Restaurant. Credit to Paul Sherwood for the photos provided above. You can read more about the awards presented by Hospitality Ireland editor Emily Hourican here. 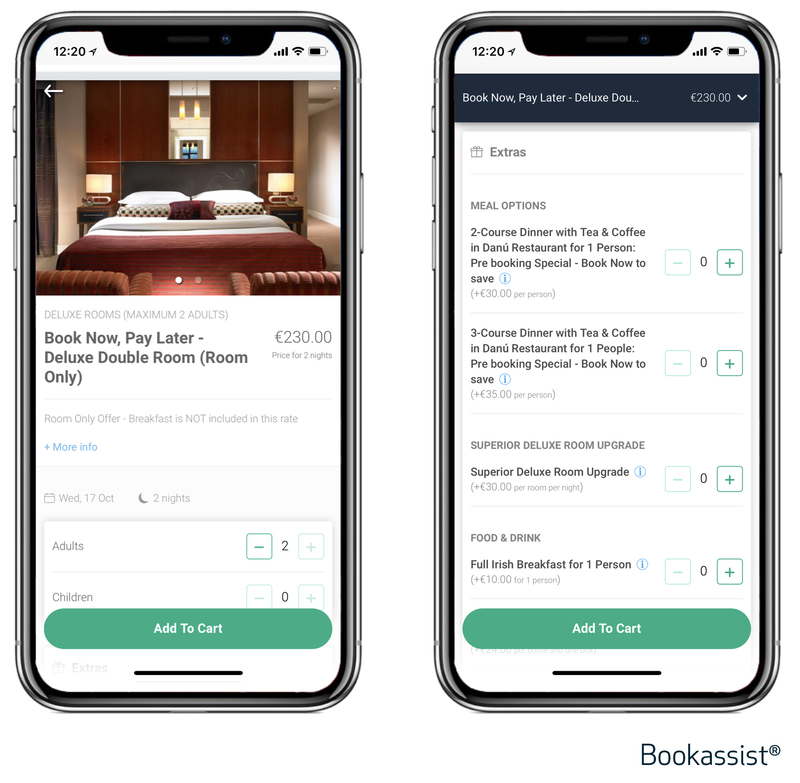 It’s been just a short few months since Bookassist unveiled its new Mobile Booking Engine for hotels, V10 Mobile booking engine. The development was in direct response to the continuing rise of mobile for hotel access and reservations. 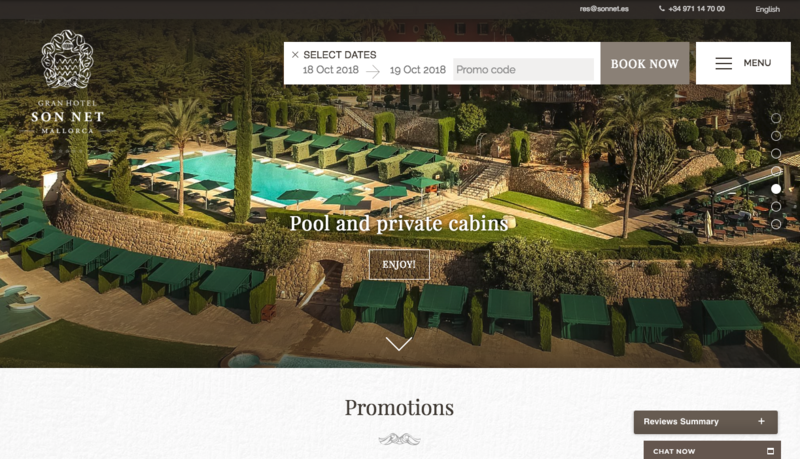 Bookassist has created an entirely new booking platform experience to exploit the mobile opportunity for hotels. It’s super fast, easy to use and critically delivers key functionality needed to drive mobile conversions. Bookassist built the next-generation booking engine on the same platform used for Facebook and Instagram - React Technology, because it delivers a high-quality app-like experience in mobile web. Combining cutting edge UX design with fast mobile technology is what V10 Mobile is all about. (1) Average Booking Value (ABV) on mobile has increased up to 35% for key hotels using the new platform. This is driven by the capability to have not only multiple room bookings on V10 Mobile, but also by offering customised extras on a per person, per room, or per stay basis to mobile bookers. The new functionality offered to mobile users by V10 Mobile is highly intuitive and accomplished through the carefully-planned and user-tested UX design and Bookassist’s flexible cart approach. Users are voting with their wallets and are spending more on each booking. V10 Mobile clearly instills confidence and facilitates a seamless booking experience for bookers. The flexible cart on V10 Mobile allows multiple rooms as well as extras per person, per room, or per stay to be offered to mobile customers. More bookings! From the moment we moved onto Bookassist’s V10 Mobile booking engine we noticed an immediate uplift on our mobile conversion figures. 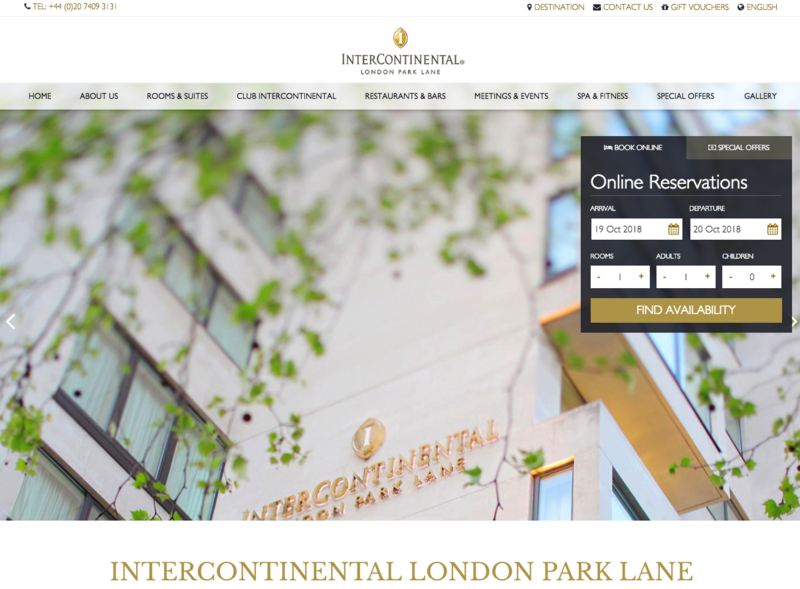 We’ve seen a remarkable increase in the number of bookings on this new platform compared to what we traditionally received via our mobile channel. We now offer our mobile customers more functionality than ever before such as room add-ons and multiple room reservations. The mobile journey for the booker is shorter than ever and the feedback has been really positive. Our customers are clearly happy! (2) The share of bookings on mobile versus desktop for key hotels using V10 Mobile has shown growth of almost 17% when compared to previously unoptimised mobile platforms. The speed and ease of use of the new V10 Mobile platform has undoubtedly contributed to this uplift. Note that this figure is significantly higher than the growth of mobile traffic alone, showing Bookassist’s positive effect on mobile conversion. Targeting mobile transactions in every possible way is the single best thing that any hotel can do to improve its direct booking potential. That includes using the best mobile web and booking technology, built for speed and usability, and adopting a strategy of providing mobile-only incentives. Treating mobile guests as second-class citizens today will cost you dearly.